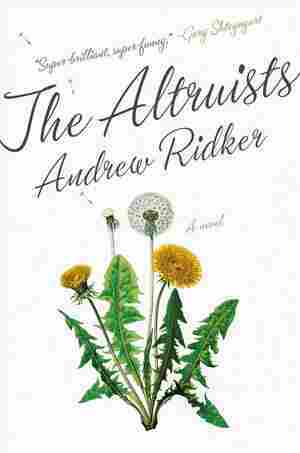 The Altruists NPR coverage of The Altruists by Andrew Ridker. News, author interviews, critics' picks and more. Spanning New York, Paris, Boston, St. Louis, and a small desert outpost in Zimbabwe, The Altruists is a darkly funny — and ultimately tender — family saga that confronts the divide between baby boomers and their millennial offspring. It's a novel about money, privilege, politics, campus culture, dating, talk therapy, rural sanitation, infidelity, kink, the American beer industry, and what it means to be a good person.